Our mission is to inspire the global community to become Ocean Wise by increasing its understanding, wonder and appreciation for our oceans. The Vancouver Aquarium, an Ocean Wise initiative, is a self-supporting, non-profit association. - The Vancouver Aquarium wants to make an impact on every visitor that walks through its doors about their ability to make a difference to our oceans through small realistic efforts. Everyone has a role in conserving aquatic life. - The Marine Mammal Rescue Centre is Canada's only specialized centre equipped to rescue, care for and release injured marine animals. The center has had many great success stories in recent times, including the rescue, rehabilitation and release of an injured harbor porpoise Levi. 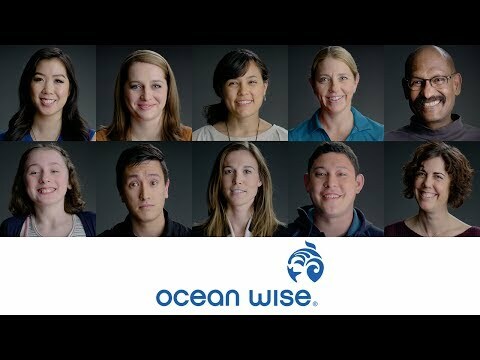 - Ocean Wise Sustainable Seafood Program is a conservation program created to educate and empower consumers about the issues surrounding sustainable seafood. Ocean Wise works directly with local restaurants, markets, food services and suppliers to ensure that they have the most current scientific information and help them make ocean-friendly buying decisions. - The Great Canadian Shoreline Cleanup, a joint conservation initiative between the Vancouver Aquarium and WWF Canada, is one of the largest direct action environmental events in Canada, engaging tens of thousands of participants annually across the nation. Each year, public support and general awareness of the program has increased, inspiring more volunteers to join and make a difference. Last year, there were over 2,000 cleanups by volunteers across the country.